Enter for your chance to win a Shanty Creek vacation in charming Bellaire, Michigan! To enter for your chance at a vacation in Northern Michigan, please fill out the form below. As a benefit of your entry you will receive our e-newsletters: MyNorth Food & Wine; Getting Up North; MyNorth Style and MyNorth Outdoors. You may subscribe to any or all of these, or unsubscribe at any time. Generations have made Shanty Creek their Northern Michigan vacation tradition. Award-winning golf, beaches, boating, bicycling, wineries, Short’s Brewing Co., and day trips galore bring family and friends back to the charming village of Bellaire year after year. **Valid during the 2015 summer season (June 15-August 31)** Holiday weekends unavailable. Can’t wait to win? 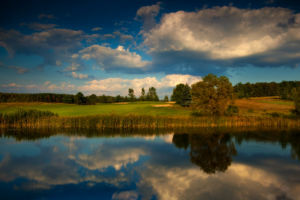 Enjoy all that Shanty Creek offers this summer and make your Shanty Creek reservation today!